On this episode of Fault Lines, host Garland Nixon and producer Eric Ladny discuss Jeff Sessions' predictable exit as Attorney General and the future of Robert Mueller's investigation. What is the status of the Trump-Russia probe now that Sessions has been replaced in his role as AG? Mark Frost - Economist and Professor | How will a ... See More Split Congress Impact the Economy? Talib Karim - Attorney and Executive Director of STEM4US | Will There Be a Legitimate Challenge to Nancy Pelosi as Speaker? Society's dependence on computers and phones has caused many to remain sedentary for the greater part of the day to day lives. Internal medicine physician Dr. Annette Bosworth joins the show to give her take on the negative health effects of extended periods of sitting and how these risks are comparable to the dangers of smoking. Tuesday's midterm elections have split Congress, with Republicans maintaining control of the Senate and Democrats reclaiming the majority in the House. Economist and Professor Mark Frost returns to the program to provide his expert opinion on how these results will impact the economy moving forward. Now that Democrats have reclaimed control of the House of Representatives, Nancy Pelosi appears poised to once again become Speaker of the House. 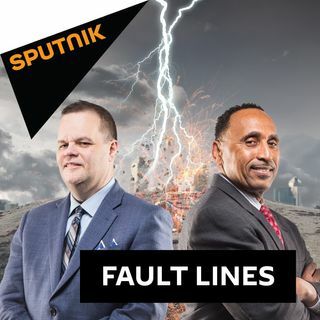 Former Chief Counsel to the Ranking Member of the House Crime Subcommittee Talib Karim joins Fault Lines to discuss the possibility of Pelosi facing a legitimate challenge for the position and how she has been so successful in maintaining control over the House Democratic caucus. Last weekend, while targeting ISIS inside of Syria, US-led coalition bombing, which included the deadly white phosphorous chemical agent, allegedly killed fifteen civilians, including women and children. Whitney Webb, a staff writer at Mint Press News, joins the show to talk about this attack and the International Crime Committee's duty to declare it a war crime.